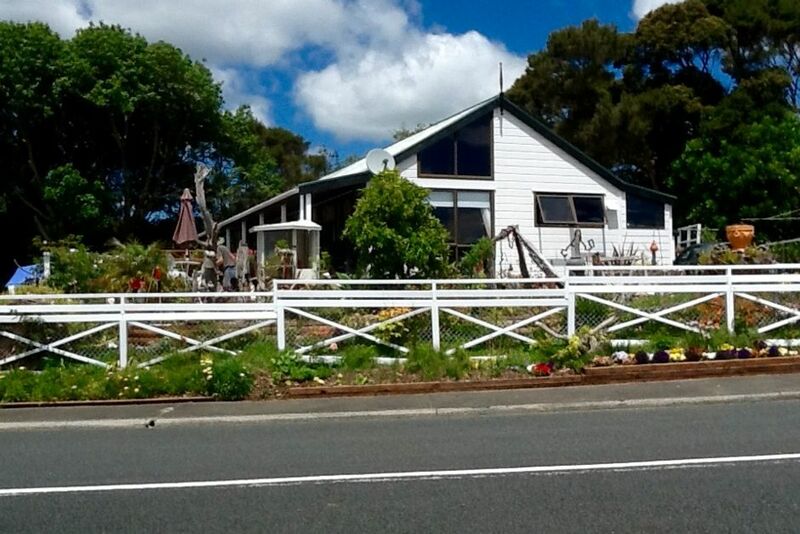 Three bedroom home in Te Haumi, Paihia. Cute Lockwood, super sunny, and fully furnished. Many happy hours can be spent in this home with large deck and a peep of the sea. A short walk up the hill to get a panoramic view of the beautiful Bay of Islands. Just the right place for an easy holiday. Surrounded by native bush with the awesome sounds of the Tui's during the day and the native Moreporks at night. You're only minutes away from all the bay has to offer. Fully fenced section so OK for Pets. Rubbish day is Tuesday. Prepaid rubbish bags available at the Countdown or Four Square in Paihia. Please ensure you remove all of your own rubbish and recyclables unless prior arrangements made. Grew up here and have returned for retirement. Just love being home again. We love showcasing this beautiful spot to our guests. Great place to base yourself to enjoy all of what Northland has to offer. We had a great time in a Paihia and enjoyed our stay in Paihia. Thanks for having us at your home. We loved watching the Kereru eating guavas in your garden. Thanks for choosing our place for your stay. We enjoyed our stay in this clean and comfortable home. Our little dog enjoyed the creative, compact garden and the owners were very helpful and friendly to deal with. Our family thoroughly enjoyed staying here during our trip to Paihia. The house was very clean and tidy and had everything we needed. We highly recommend staying here. Thank you. Great place & people, had a wonderful time with our family over from UK. Would rent again. 5mins from Paihia. Room and facilities to entertain. Short ferry trip Paihia to Russell or car ferry from Opua 3.5 km. Popular tourist destination with a multitude of activities, sight seeing attractions or quiet at home relaxation. Choice of close beaches ideal for young families. Plenty of options for fishing, sightseeing boat trips around the harbour, boat hire or charter. A large slice of Paradise with so much to do and see.